Current representative: The current representative for the 57th District is Rep. Bronna Kahle (R-Adrian). The district covers much of Lenawee County, including the cities of Adrian, Hudson, Morenci and Tecumseh, according to the House Republicans. 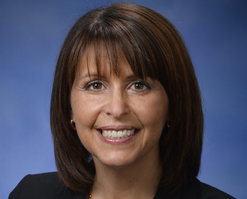 Kahle was first elected to the Michigan House in 2016, taking office in 2017. According to her official House website, Kahle previously owned a small business, which provided home care for seniors, and served as director of the Adrian Senior Center. She serves as a member on the House Ways & Means Committee, according to House Republicans. A map of the 57th District is available here. Rep. Kahle raises money through a candidate committee, Bronna Kahle for State Representative, and a leadership PAC, A Brighter Lenawee Fund. The leadership PAC launched in March 2018.